Enrique Iglesias will be releasing a compilation album titled, “Greatest Hits” on February 8th. The official Joe Stone Remix of “I Don’t Dance (Without You)” by Matoma & Enrique Iglesias Ft. Konshens is now available for streaming and purchase. The official Arabic Version of “Nos Fuimos Lejos” by Enrique Iglesias, Descemer Bueno, Hatim Ammor and Red One Featuring El Micha is now available for streaming and purchase. 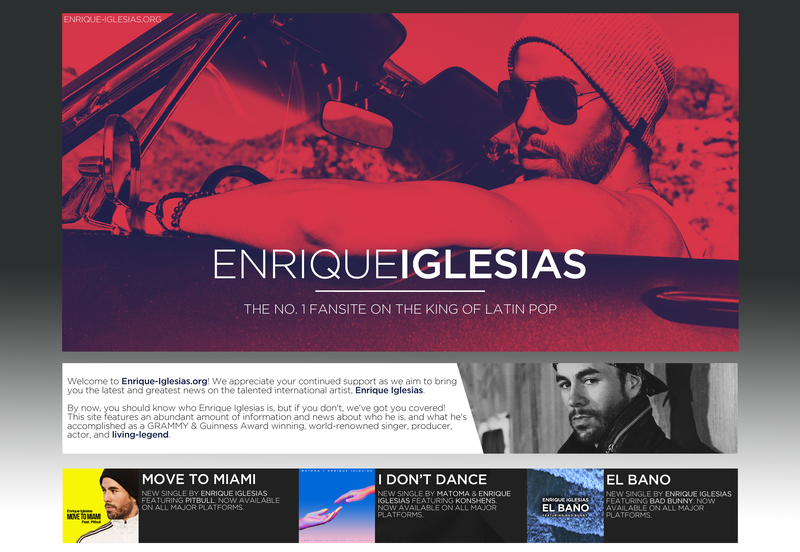 Along with the new remix, Enrique Iglesias also released the official music video on his YouTube Channel. Stream the “Nos Fuimos Lejos (Tropical Version)” now on Apple Music and Spotify. Purchase the song on iTunes and Google Play. The official Tropical Version of “Nos Fuimos Lejos” by Enrique Iglesias and Descemer Bueno Ft. Charanga Habanera is now available for streaming and purchase. The official Romanian Version of “Nos Fuimos Lejos” by Enrique Iglesias and Descemer Bueno Ft. Andra and El Micha is now available for streaming and purchase. Enrique Iglesias and Matoma’s new single, “I Don’t Dance (Without You)” is now available for purchase and streaming!